NATIONAL CAPITAL SPEEDWAY CHRISTMAS CUP!! 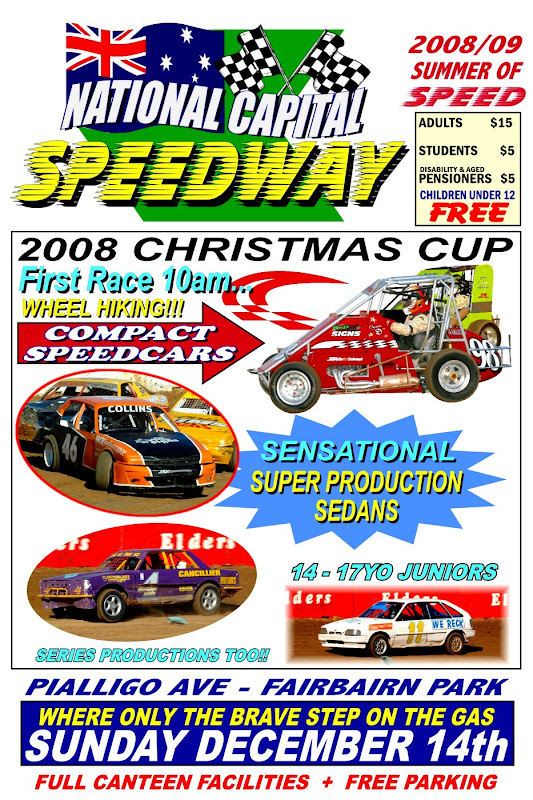 National Capital Motorsports Club presents the 2008 christmas cup at National Capital Speedway, Pialligo ave, Fairbairn on Sunday 7 December. Racing starts from 10 am and admission is $15 for adults and $5 for aged/disability pensioners……children under 12 free. 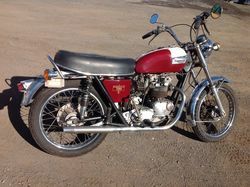 thanks for posting the flyer johnboy….. I was busy racing, bluddy hillclimbs, the fun bit was coming back down afterwards.